Many people think of area rugs as a “finishing touch” for a room, but a rug is a great way to begin decorating since it can give you a good color palette to start from. Area rugs can define a conversation area in the living room, a seating area in an office, or an eating area in the kitchen or dining room. They can separate rooms that have no defining wall and mark off areas by placing them on wall-to-wall carpeting. Throw rugs and area rugs provide an additional visual layer, making it easy to transform a room from cold and dreary to warm and colorful. Smaller-sized rugs can highlight furnishings. A 5′ x 8′ or 6′ x 9′ rug generally works well under a coffee table. All four legs should fit on the rug, which should be about the same length and width of the furnishings within the space. An 8′ x 10′ or 9′ x 12′ area rug works for most dining rooms. The chair legs should not fall off the rug when people are seated or when pulling chairs away from the table, so measure the length and width of the table and add at least four feet to each measurement to get a good size estimate. To determine the proper dimensions of a room-size rug, subtract three feet from the length and width of the room. Runners should be four inches narrower than your hallway and 18 to 24 inches shorter. Whether you prefer contemporary, traditional, Victorian, or something in between, you can find area rugs to accentuate your style. If you have rather eclectic tastes and your furnishings are from several style groups in the same room, area rugs can offer a binding effect. Consider the rug as a piece of artwork. You don’t have to be married to the decision forever, but you should certainly like the colors and patterns of the rug you choose! Many people choose neutral colors/patterns for their large sofas and chairs because they don’t want them to become outdated. Use the rug as a bolder statement to add color or patterns to the room. However, if you do have a bold pattern or color scheme in your furniture, choose a more subtle rug that won’t compete with it. 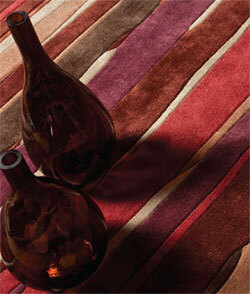 Think of how different yarns used in the various rug constructions contribute to the “mood” of the room. Natural fibers such as jute, sisal, and hemp used in a flatweave construction add a casual feel. 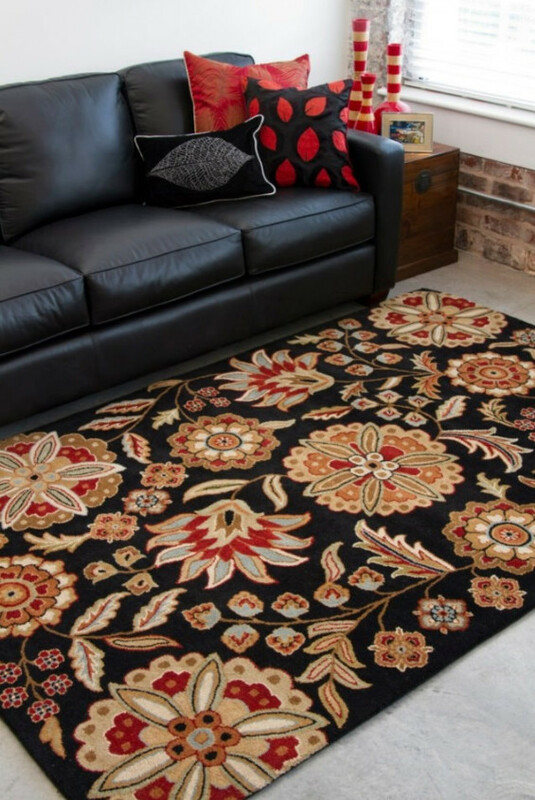 The hand-knotted construction with historic patterns and colors is made with high quality wool, washed until it shines, and is usually found in traditional settings. If it’s a contemporary or modern style you’re looking for, shags or large scale patterns in a tufted construction work well. Light colored rugs will make a room look more spacious while a darker color scheme can add coziness to a bigger space. A rug with a bold overall pattern can be the focal point of a room, with a sofa and chair in solid or subdued patterns. Consider using round, oval, octagonal or other shapes. Ask yourself what effect you want the room to have – a warm, cozy room rich with bold colors and textures, or a calming, uncluttered space with softer hues and simple patterns? Use the colors in your rug to select small accent pieces for your room. This will help tie the room together into one cohesive space. You need not reserve rugs for the floor; they can make equally impressive wall hangings! To make a rug the focal point of a room, create contrast. Paint your walls a hue that echoes one of your rug’s accent colors. Placing rugs on high traffic carpet areas is also a great way to extend the life of your carpeting.